You know that I love me some Pur Cosmetics. A couple of my favorites from this line are their Love Your Selfie 2 Palette and of course, the oh-so-adorable Trolls Eye Shadow Palette. Pur Cosmetics recently released two new palettes that are perfect for getting your gorgeous on, both at home and away. 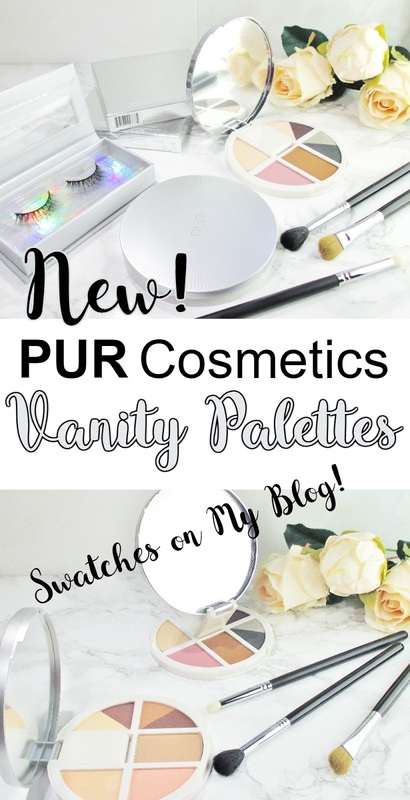 Say hello to the Pur Cosmetics Vanity Palettes. When these palettes first landed on my doorstep, I got excited about them. 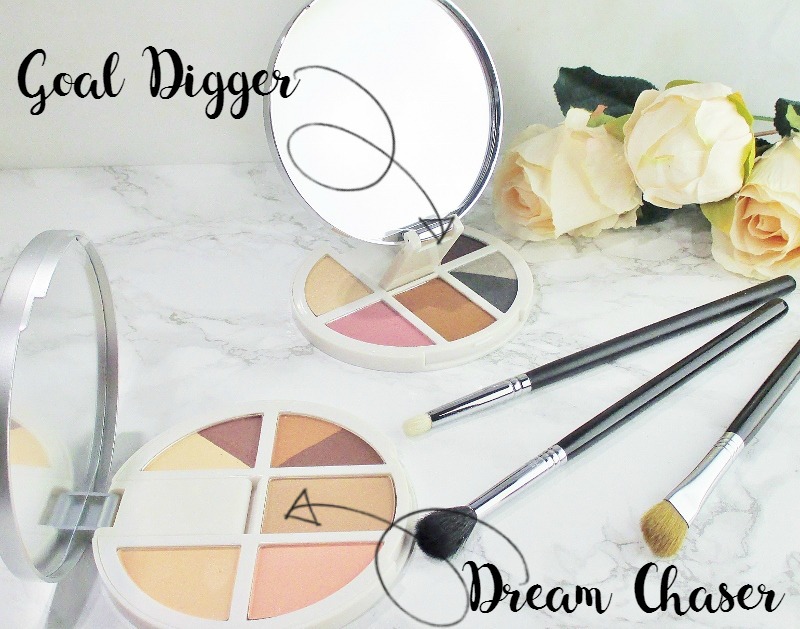 Two slim, portable round palettes; one warm, one cool packed with beautiful, wearable face and eye colours and a pop-up primp yourself pretty on the go mirror that is big enough to use for a full face of makeup. These versatile palettes contain shades that can create a beautiful day look then transition effortlessly to an evening out look in just minutes. Each of these palettes contains a face highlighter, blush, bronzer and four coordinated eye shadow colours in a mix of matte and shimmer. Goal Digger supplies cooler shades, including a lovely purple, a glowing pink, charcoal grey and silver. The warmer version is Dream Chaser, with shades of peach, golden champagne, soft brown and rich burgundy. My patented crap swatches are below. The eye highlight shades don't show up in these photos because they pretty much blended right into my skin. But they are there and funny enough, they do show up on my eyes. Yeah. That swatch of Motivation. I'm so proud. The quality of these palettes is nice! The mattes feel a bit stiff to the touch and they don't swatch the very best but they perform when applied to the face and eyes. The eye shadows all apply, build and blend to create beautiful looks. Fantasy and Good Intentions require a little more care and blending but they deliver the goods. I like the blushes and highlighters a lot and the bronzers, buffed in with a light hand warm my skin up and give me a soft, sun kissed glow. My one gripe? The eye shadows are pressed in together, two to a pan without dividers. Deep colours are up against very light and this can result in the shadows spilling in on one another and making a mess of things. Ooo! have you tried PUR's Pro Eyelashes? They are created with the softest, silkiest cruelty free synthetic to mimic mink lashes. There are styles from understated elegance to full on glamazon to enhance and make your look. Treated and stored with care, they can be worn again and again. 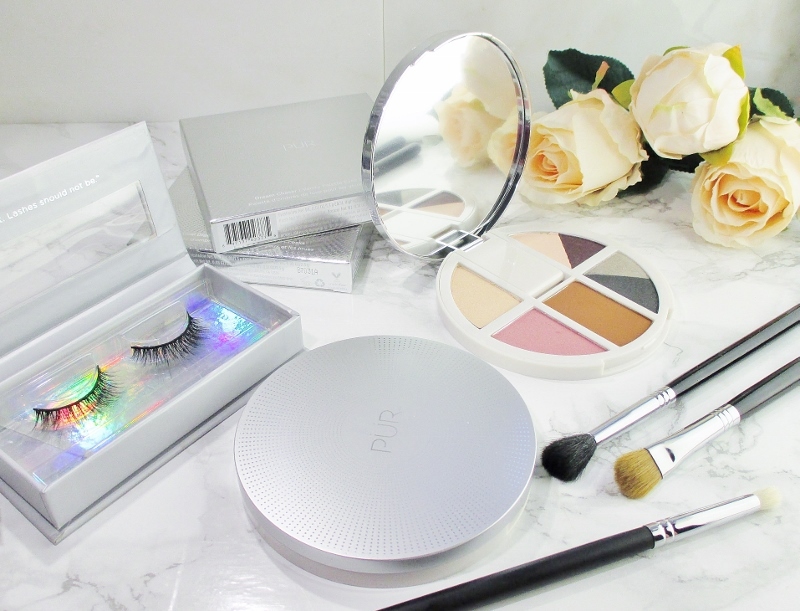 Have you tried the Pur Cosmetics Vanity Palettes or their Pro Lashes? What do you think of them? Pur Cosmetics is cruelty free. I want to try their lashes. Like really badly. I don't usually like when two shades are pressed in the same pan anymore - they're generally too hard that way. I think the raise out vanity mirror is genius. You crack me up! I like Dream Chaser. Pur is becoming such a fav of mine!!! Thank you. :D PUR delivers some good stuff! I really like Goal Digger! 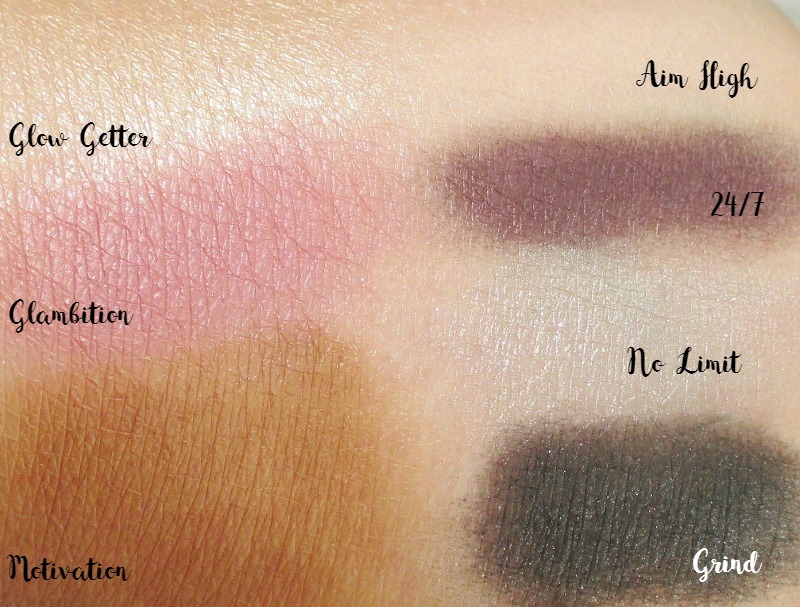 It swatches so beautifully, and those cool colors are perfect for me! The quality of them looks nice. Oooh, these palettes are pretty. Those palettes are so pretty! I am getting one and I cant wait to play! These look like nice neutral palettes. 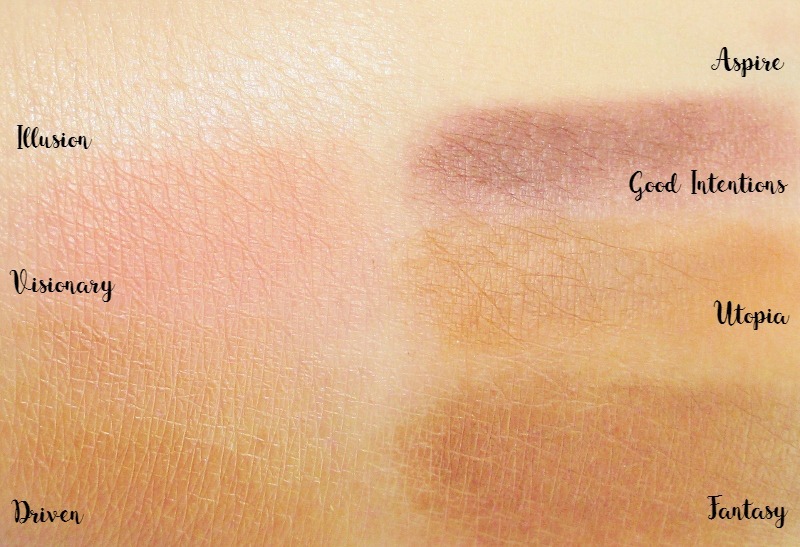 The palettes look very pretty but I can see where a way to divide the two e/s shades would help tremendously. I love these palettes, especially the packaging. As someone who regulatory cleans their makeup/packaging, the two shades together would irk me a little, but the shades do look really great. I am seriously obsessed with their lashes. These palettes are cute, but ever since I moved, I stopped getting PR, so boo! I am absolutely in love with the packaging of these gorgeous palettes. I am one who really loves a great matte shade and I think I'd be a bit bummed with the hard pan for the mattes, but I do love that they still perform well regardless. I haven't gotten any PR from PUR since their lashes, bummer... but I love learning about new products from them. I recently picked up one of their Mystery Boxes and I was really impressed with some of the products inside.